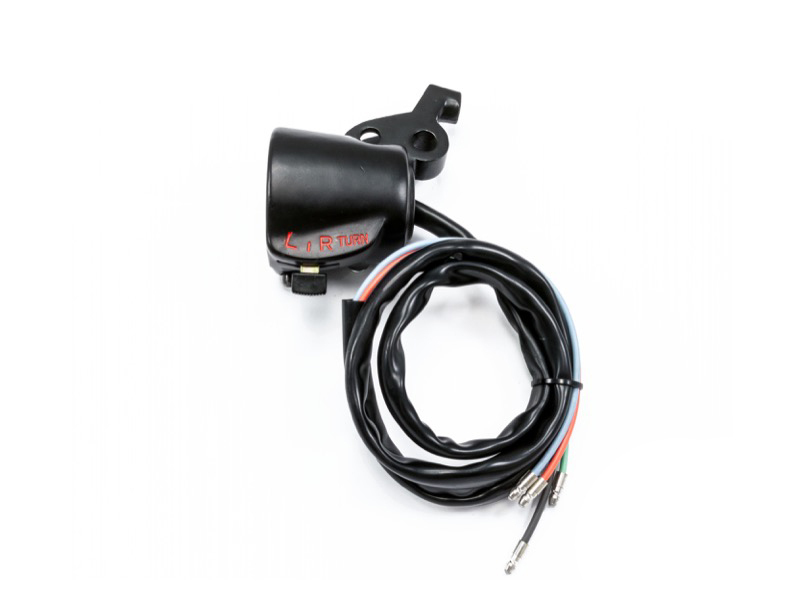 Why You Need This: The horn button and the turn signal switch are not the only functions of the handlebar switch box on the left side of your Honda CL / CB350 or CL / CB450, it is also the perch for the clutch lever. 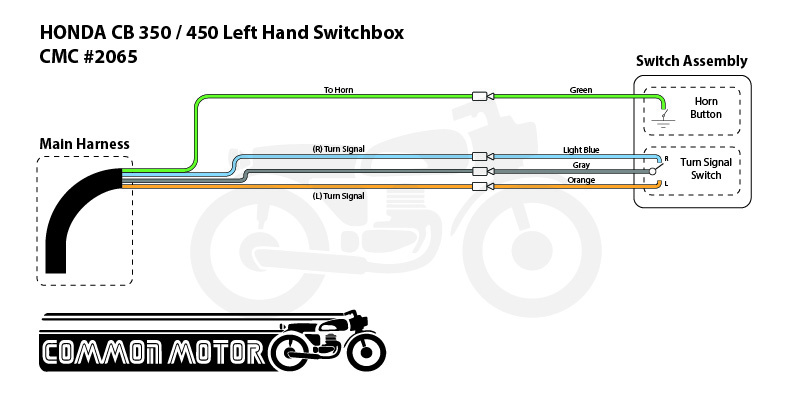 The handlebar switch boxes that appeared on the late 60's to mid-70's Honda CB350 and CB450 are a common failure point for the electrical system. More often than not they are corroded; or the internal wiring has chaffed and grounded out the electrical system; or the bike has tipped over on its left side and busted the clutch lever; or the rear view mirror, taking the perch casting with it. In the not too distant past, you would have to piece together a working handlebar switch box together from several used ones from the junkyard and cross your fingers that it worked. 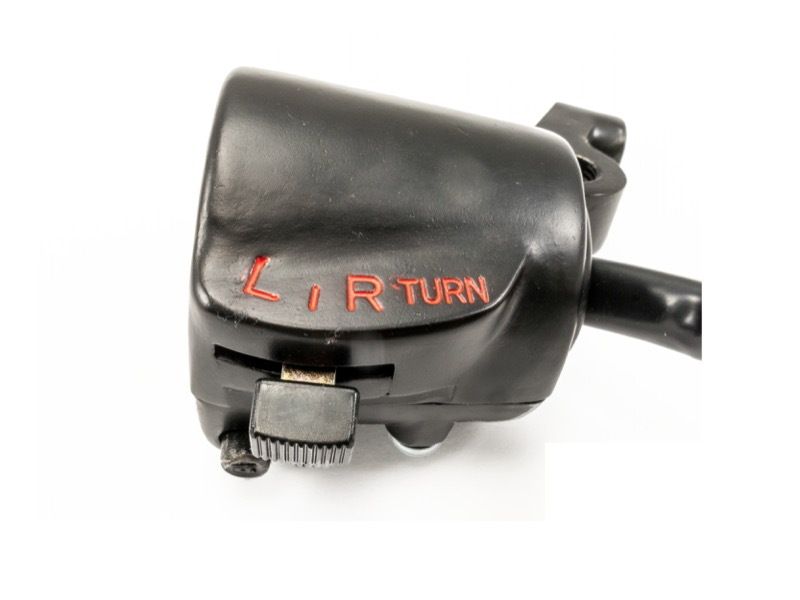 Well life just got easier as this reproduction left handlebar switch box looks and functions like the original part that was on your Honda CL / CB350 or CL / CB450 when it was shinny and new in the Honda show room. It is nice to have a working horn, turn signals, a solid left side mirror mount and a working clutch lever that is not held together by J-B Weld and hose clamps (we have seen it). If you need the matching right handlebar switch box we have it as well. Installation Tip: Use some anti-sieze compound on the threads of the mounting screws for the switch box. Soapy water in a spray bottle will help lubricate the wires as you pull them through the handlebars. The wiring of this switch may be slightly different than your original factory unit. My first non-5 star review for Common. This switch is great! Looks like new original. Though, I had issue with the horn not working. Simply, the ground was not completing as wired. I ended up adding a wire and grounding in the headlight bucket. Don't hesitate to order this switch, I'd just suggest testing prior to feeding through the bars.